Nicholson plays Jack Torrance, who's come to the elegant, isolated Overlook Hotel as off-season caretaker. Torrance has never been there before—or has he? The answer lies in a ghostly time warp of madness and murder. Master filmmaker Stanley Kubrick's visually haunting chiller, based on the bestseller by master-of-suspense Stephen King, is an undeniable contemporary classic. 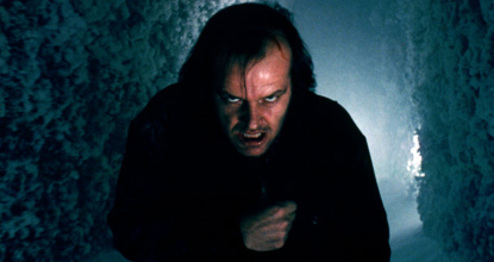 Newsweek called The Shining "the first epic horror film," full of indelible images, and a signature role for Nicholson whose character was recently selected by AFI as one of their 50 Greatest Villains.